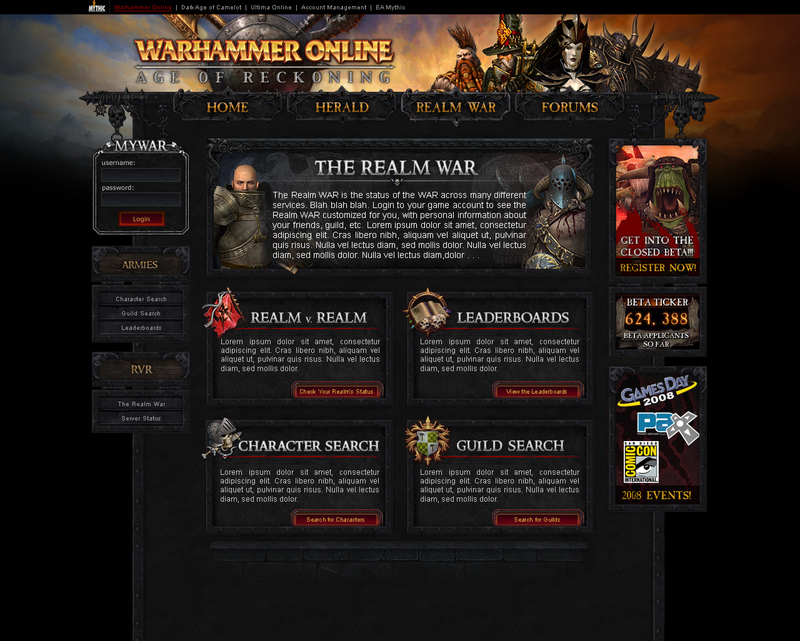 Over the course of a couple of months I had been going back to the Realm War section of the Warhammer Online website and giving it a design refresh. It started with an update to the “static” index page, one that a visitor would see if not logged in. We wanted to make it more accessible and easier to jump to the other sections of the site. The second page to get a new look was the Guilds Page. 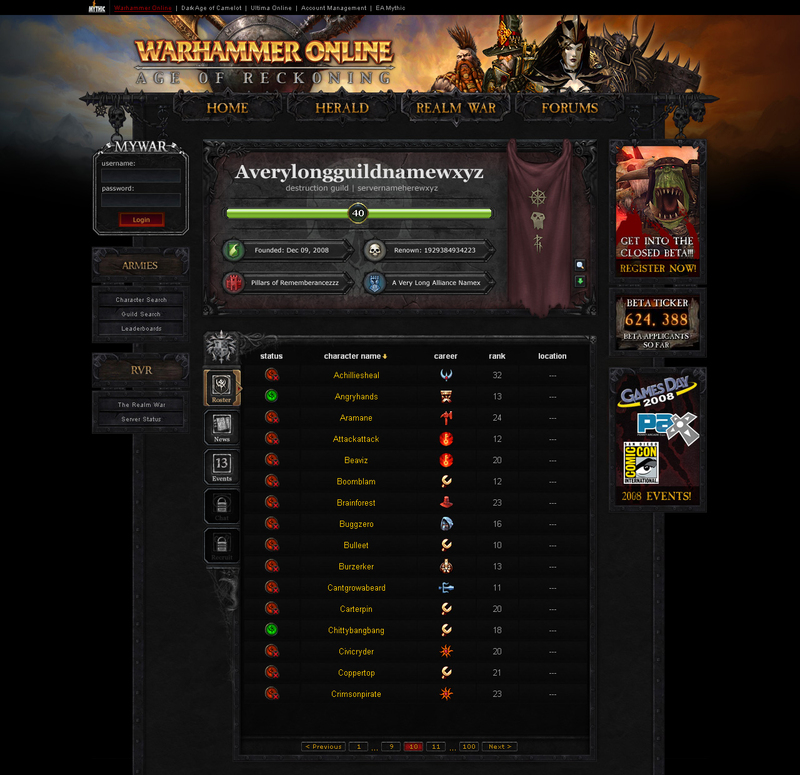 One of the main features we wanted to add was the guilds actual banner on the page. While we had it working, some issues have shown their head and the feature may not launch with the new look right away. Also featured is a brand new design for a tabbed content box to showcase other information relative to the guild (ie: roster, news, etc). One other nice feature is the image in the background on the top box changes from a skull emblem and red highlights (for destruction players) to an eagle crest and blue highlights (order players). The last page on the redesign mission was the Leaderboards. The launch design lacked any color and navigating it had proven to be tricky. So we revamped it all. First there is no more selection page. 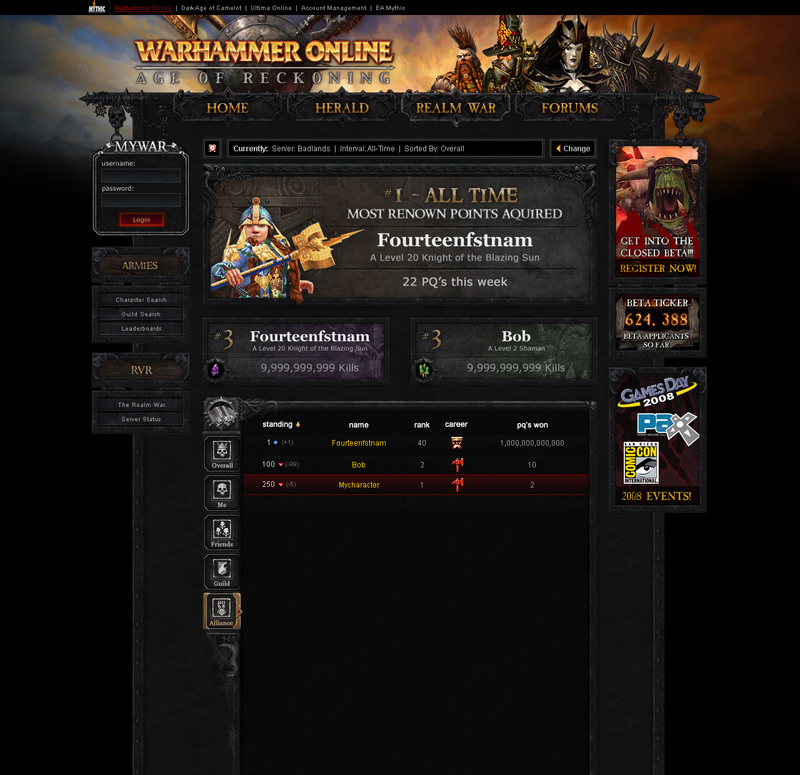 When a visitor clicks leaderboards, a lightbox popup will display and the user can pick their leaderboard and other sorting options. Once selected, they will see this page. I went through and took screenshots of all 24 careers (male AND female) to display a nice character render for the first place player. We decided to give a graphical look to the top 3 players and list the other 100+ in a table format below (currently we only display top 10, that’s it). 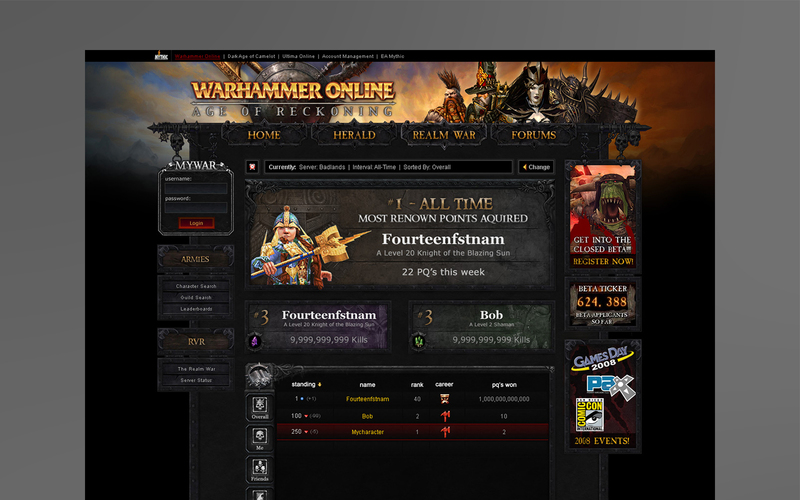 The user will then be able to use the new tabbed content area to compare themselves overall, against their friends and their guild. These designs were actually all coded and ready to be used, they were just never pushed to the live production servers and sat unused.